Hi friends, today is my very first "official post" on the Pretty Little Studio blog, and I'm so happy to be able to share it with you! As soon as I saw that cute little fireman, I knew I had the perfect photos from our trip to the fire station to go along with it! 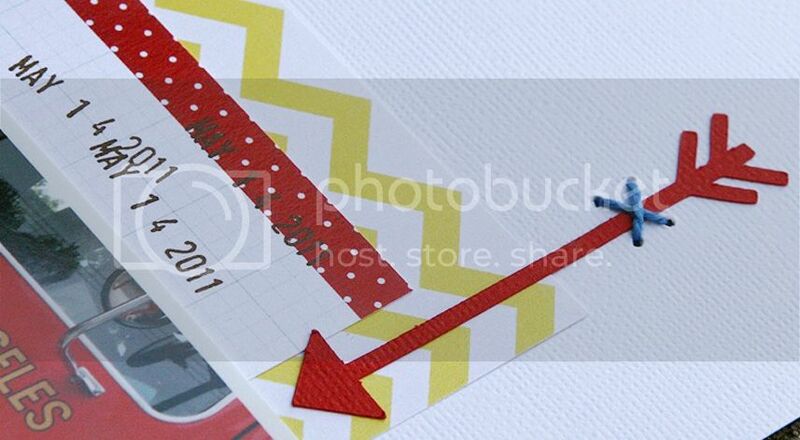 Don't you just love the pretty yellow chevron paper! I did a little machine stitching on the garland circles, and some hand stitching on the cute little arrows that were cut with my Silhouette machine. That little fireman is so cute!!! Perfect for the layout. Adorable! That fireman is too cute! Perfect for your page! 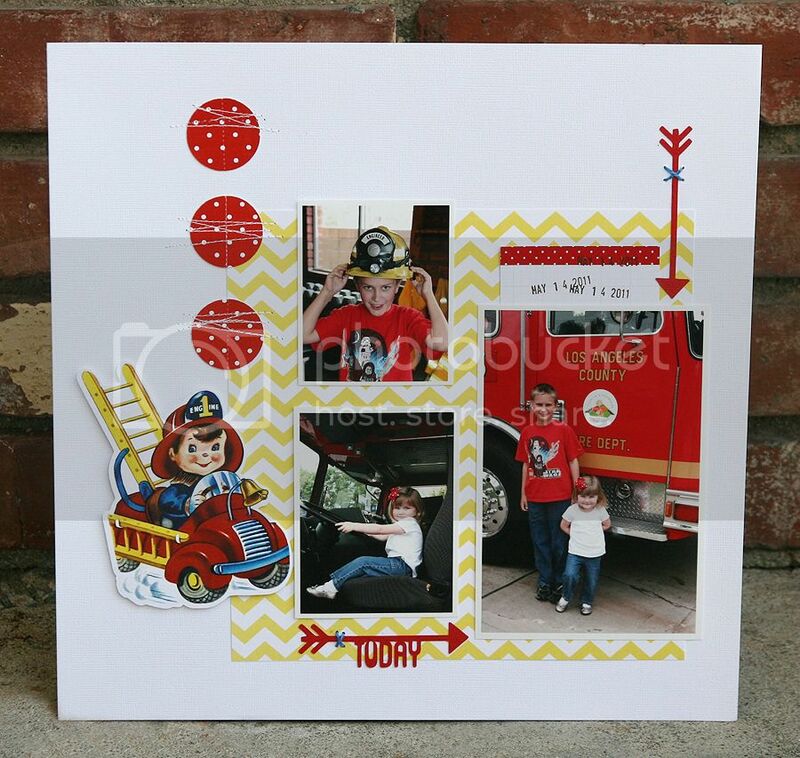 Love the stitched circles and that fireman is adorable...so perfect for your page! This is freakin adorable Mary Ann! Love it! This is a really cute layout! That die cut is just adorable! Such a sweet layout! 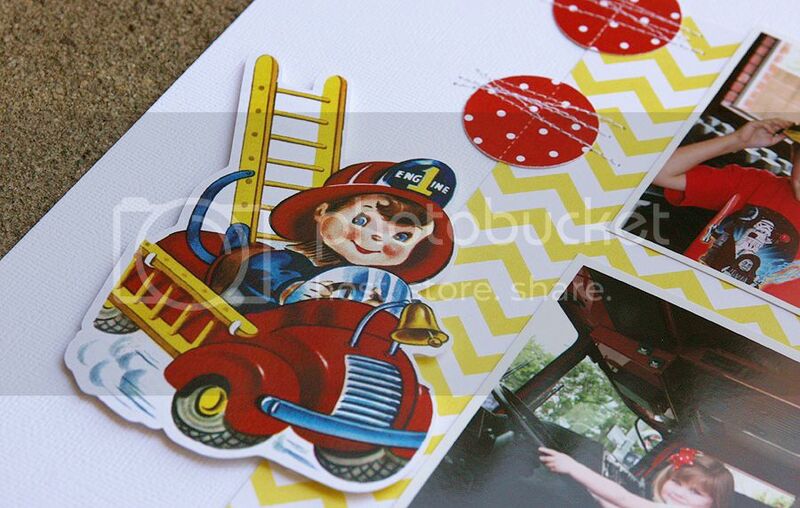 I love that adorable vintage fireman image and great photos of the kiddos! This turned out just perfectly! Very cute! I'm going to have to buy that fireman diecut for my boys. It is a cute fireman but I love the stitching. You rocked your first post Mary Ann!! Such an adorable page!